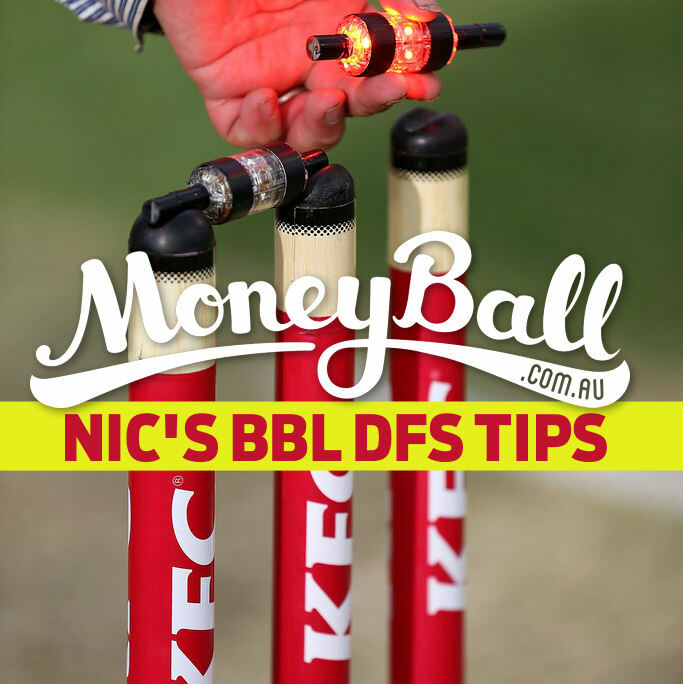 Win some cash today with Moneyball and Nic’s tips. We’re quickly approaching the end of the tournament and that means teams are losing players to international selection and you’ll have to get creative to take home the $5,000 Moneyball prize pool. Tonight, two teams looking to secure a top four spot clash as the Strikers host the Hurricanes. Let’s break down the best options for your side. Short has made 465 runs so far in this tournament. The next best (of players who haven’t been called up for the ODI squad) is Alex Carey on 268. There’s nothing more that needs to be said. Just pick him and build your team from there. Wells has been the go-to guy in the middle order to replace Travis Head, but he hasn’t quite fired yet. He’s averaging 21 for the tournament, but expect that to increase now that he’s batting at four. You could easily select three Hurricanes batsmen here, but that’s not always a great move as it’s unlikely all three will fire in the same game. Wells and Colin Ingram ($6,600) are the two Strikers batsmen worth picking in this game. Wells saves you some money though. The Hurricanes seem to be persisting with Doolan at the top of the order and whenever you’ve got an opening batsman at such a cheap price, it’s absolutely worth giving him a go, even as your flex option. Doolan’s only averaged 16 runs so far, but has been scoring at a decent strike rate of 109. Avoid: Jake Weatherald ($3,900): Enough’s enough here. Weatherald continues to stink up the tournament, averaging only 12 – pass. Smoky: Jake Lehmann ($3,100): Should continue to get more time in the middle with Travis Head out. Click here to play Moneyball. 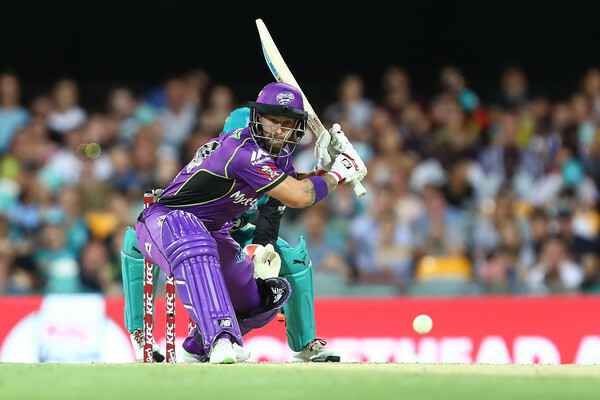 Carey sits only behind Short and Cam White in terms of runs scored in the tournament, while Matthew Wade has been stuck batting in the middle order and has faced 97 fewer balls so far in the tournament than Carey. They’re both cheap and you could comfortably select Wade as your flex option, but lock Carey in as your keeper. Christian has been steady, but not spectacular so far in the tournament. Having said that, he’s one of two options you have for this position and you could do much worse. He’s only faced 57 balls for the whole tournament because the Hurricanes insist on having him bat at six or seven and he’s only taken the four wickets. Again, you could do worse than a consistently performing veteran. Neser is having a sneakily good tournament. He’s averaging 29 with the bat with a strike rate of 120 and has taken 10 wickets from six games at an economy of 8.06. This is a guy who could be in line for a spot in the tournament’s best XI. While he’ll only get a bat if the middle order collapses, he’s more than good enough to pick on bowling form alone. Khan sits only behind Andrew Tye as the leading wicket taker in the tournament and should be a lock for your side tonight. He’s only conceding five runs per over as well. You have quite a few bowling options in this game, but he’s definitely the best of them. While you’re at it, just lock this guy in as your second bowler. Yes, team diversity is important, but losing out on the best scoring players in the name of doing something different to everyone else could cost you the cash. Archer has taken 11 wickets at 7.21 runs per over and can launch with the bat if required. LOCK. Boyce has quietly had a very good tournament. He’s only taken the five wickets, but he’s only conceding 6.94 runs per over and always seems to tie down an end whenever he’s brought in to bowl. If you’re looking for a consistent player to pair with the two guys above, Boyce is probably your guy. Smoky: Peter Siddle ($6,300): Siddle has reinvented himself as a T20 bowler with surprising effectiveness and is someone you should definitely consider. Get tips for today's $6K special.